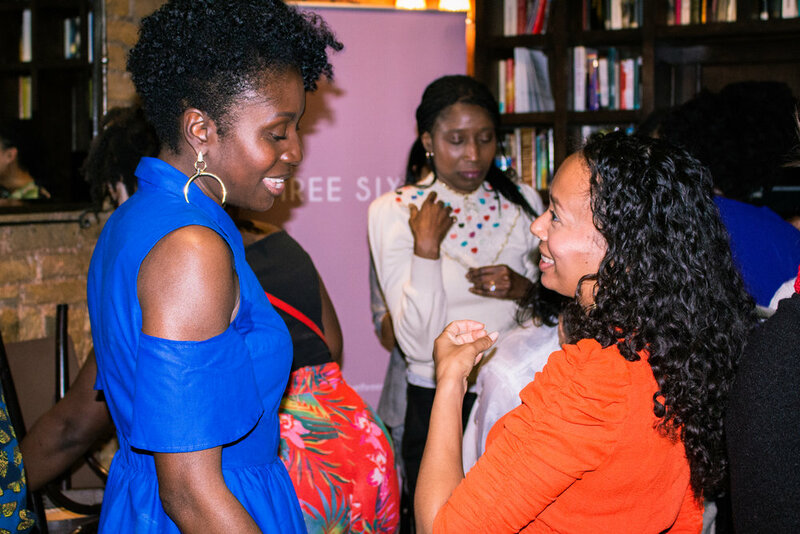 On Tuesday 1st May I officially launched the Three Sixty brand with a room full of brilliant women. I wasn't nervous about the launch, but I was a little concerned about the size of the room. Unfortunately the venue double booked and I had to use a smaller room. As it turned out the room was perfect, it was like being almost skin to skin fostered a stronger connection. I could be high on my own supply but for me the energy in the room was the sort of magic you read about in ancient sacred societies where women communicate intuitively. The panel were lively, humorous and genuine. The discussion was about cultivating every day joy. 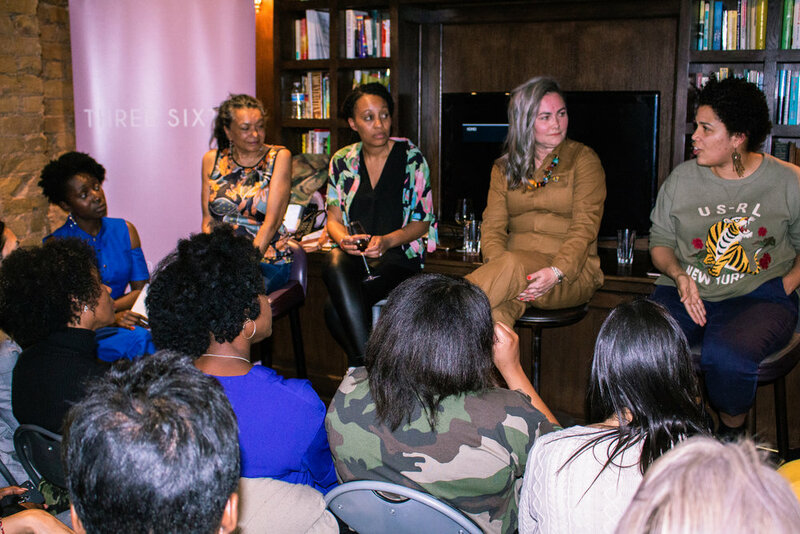 Every day joy is not about glossing over difficulty, in the words of panellist Ashlyn Gibson its about getting deep within our challenges and walking through them. We had honest conversations about overcoming hardship, removing societal burdens, reframing perception and creating space to be still, connect with ourselves and notice everyday joy whilst doing the real things life requires. There was no glossing over and good vibes only rhetoric just authenticity, women being a true expression of themselves. 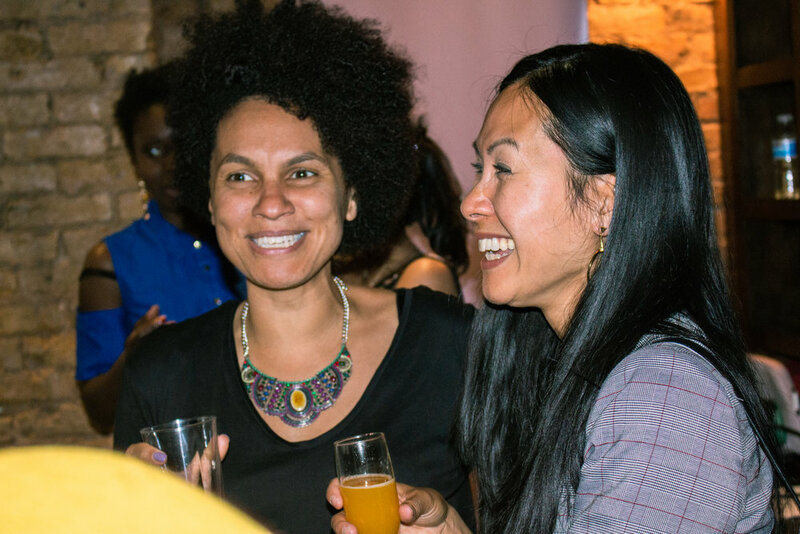 I cannot say thank you enough to the panel, Mala Seecoomar, Ashlyn Gibson, Wanita Bardouille and Nicola Rae Wickham your contribution made my launch magical. My awesome guests, thank you so much for coming out on a school night, I could not have wished for a lovelier group of women to begin this journey with. If you would like to know more about the Three Sixty day retreat in September or any other wellness events please sign up using the form below. Sign up with your email address to receive news and updates about wellness events.